There are some worship artists/songwriters who release albums and you instantly love them, but eventually you get tired of the project and songs. I'll refrain from naming them, but when it comes to the worship music industry, most people like them. Then there are artists like Matt Redman, Tim Hughes and most recently, House Fires and United Pursuit. These artists tend to put out projects that don't grab you instantly, but the more you listen to them, the more the songs grow on you and eventually you realize how good the writing is...at least, in my opinion. 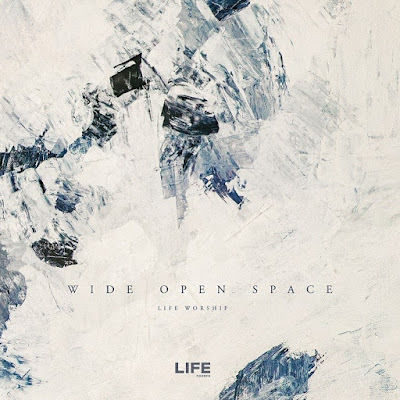 The latest release from LIFE Worship, called Wide Open Space, carries that quality. I was excited when I received this album to review, because I still love their last release, Dance Again. I actually used a few of the songs like, "We Believe" and "His Kingdom is Here" to lead my church in worship, and they ended up as favorites. My first time through Wide Open Space, it didn't quite grab me, but the more I've listened to it, the more the melodies and lyrics have grown on me. The title track is truly infectious and is the kind of song that should be on Christian radio and not redone by a popular artist (rant over). This is a collection of songs that you can worship with in the car or at church. Much like their previous release, Wide Open Space is packed with songs that are worshipful and accessible. Thank you LIFE Worship and Integrity Music for this release! Click Here to download it on iTunes today!